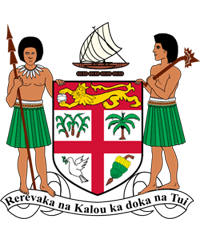 The Wairabetia Economic Zone project, a development undertaking by the Fiji Ministry of Industry, Trade & Tourism (MITT), is currently at its design consultancy phase. The Project Manager, Houng Lee Kaba Jacob, is now calling for “Fee Proposals” by suitable Master Planners for the “master planning” phase of the project. For further information/clarification, please contact Ms.Pallvi on pallvi.sharma@govnet.gov.fj or on +679-330-5411. You can also contact the Fiji Embassy in Tokyo. The Honorable Dr Jiko Luveni Speaker of the Fijian Parliament had a meeting with her Japanese counterpart, the Honorable Mr Tadamori Oshima the Speaker of the House of Representative of the Japanese Diet in Tokyo on 23 August 2017. The Hon.Dr.Luveni was in Tokyo, Japan, leading the Fiji Parliamentary delegation to the Asia-Pacific Parliamentary Forum on Global Health, and also took the opportunity to pay a courtesy call on her counterpart. The two leaders exchanged comments covering several issues and the role of Parliamentarians in promoting these issues. Fiji, like all other Pacific and Island countries, has an existential stake in the well-being of our Oceans. 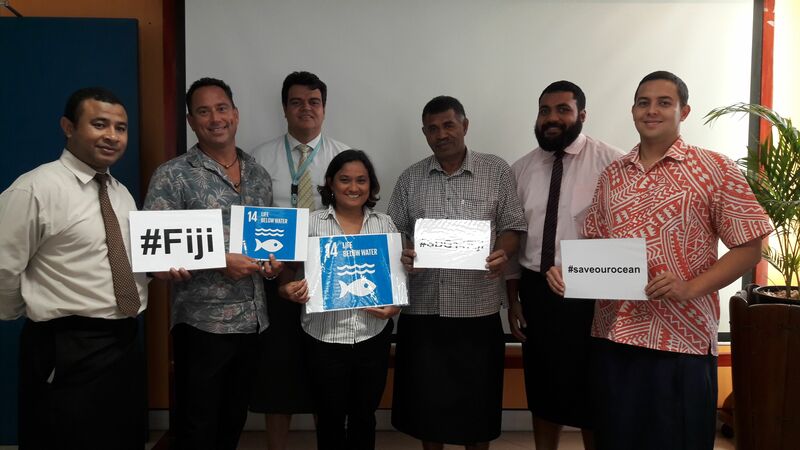 As Fiji counts down to jointly hosting the Oceans Conference in New York from 5-9 June, 2017, we urge everyone’s support towards this very important Conference. Help us safeguard our Oceans and Seas! Fiji’s Attorney General and Minister for Economy, the Hon. 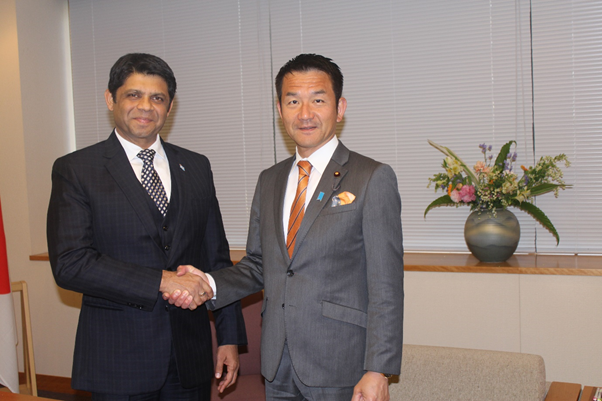 Aiyaz Sayed-Khaiyum met with Japan’s Parliamentary Vice Minister for Foreign Affairs, the Hon. Kiyoshi Odawara. Fiji’s presidency of COP23 – the ongoing UN climate negotiations – was the focus of talks in Tokyo on 2 May 2017, between the two Ministers. The AG – who is the Minister responsible for Climate Change – echoed the Prime Minister’s call for Fiji’s development partners to do everything possible to support Fiji’s presidency on behalf of Pacific island nations and other vulnerable nations of the world. He also expressed Fiji’s desire to see Japan play a significant role in supporting Fiji’s COP 23 Presidency.